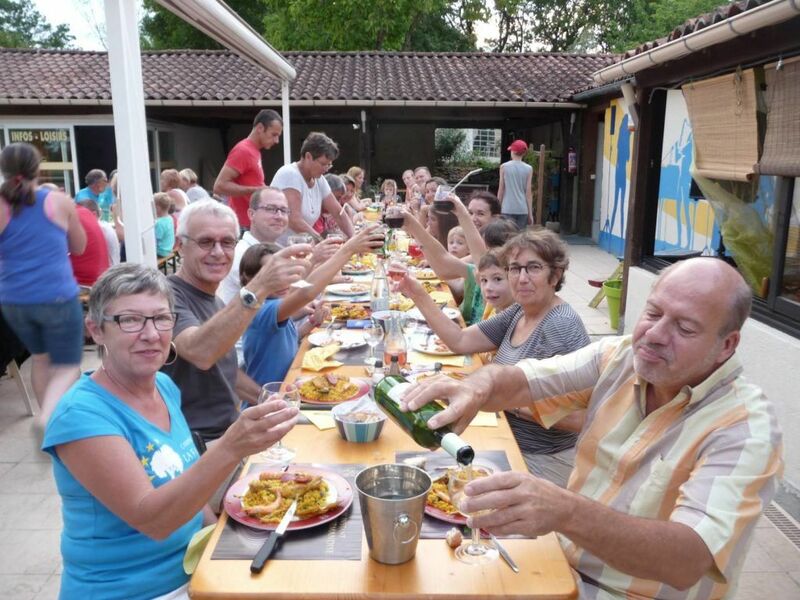 At camping de La Fage, we want everyone to enjoy their family camping holidays in the Périgord. That’s why we offer activities for everyone, with the participation of an animator. Whether you are 7 or 77 years old, you can have fun in a playful and cheerful atmosphere. We regularly organize family or children’s activities and themed meals. The activities take place from July 8, 2019 to August 23, 2019. Obviously, this varies according to the weeks and weather. Although we are fortunate to have a rather mild climate in the Dordogne, sometimes the weather is capricious. In these cases, we prefer indoor activities. In July and August, every Sunday evening, from 7pm, we take the opportunity of a welcome drink to reveal to you the team present for your holidays. In parallel, this moment allows a first exchange on the planning of the activities of the coming week. Most of the animations are free and optional. Located in the heart of nature and in the Montignac-Lascaux, Sarlat, Les Eyzies triangle, our establishment is very safe for families with young children. Here nature and space contribute to the well-being of your holiday. The play area is centralized and includes all the structures. Children find their way there quickly, they are safe and it is easy for parents to supervise them. Similarly, most of our activities are intended for both adults and children, offering you the perfect opportunity to share family moments and to fill up with memories… The family spirit and friendliness will be there! During the summer period, concerts and shows will take place in our campsite in the Dordogne. If you have already come to us, you have discovered in previous seasons: the Domino Company, Les Cousins d’Aldo, Série Limitée and Just for Fun, Pascal Caron, Alexina Lebon, the Spitfire…etc. Artists that we regularly invite and that you will therefore have the opportunity to discover if this is your first visit to our village near Sarlat-la-Canéda. 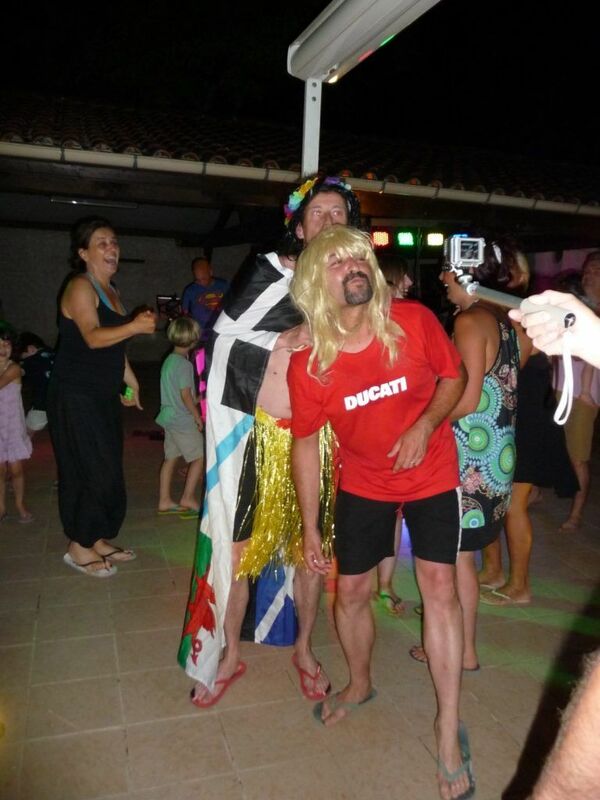 And of course, you will also find many activities in the evening: theme meals, semi-night walks, lotto, dance evenings, karaoke (about 450 titles to sing alone or with friends and family), semi-night petanque, night swimming pool… etc. And 2 new products in 2009, the Sun beam, chopper from 7 to 99 years old and the Sun Rise from 5 to 12 years old. As at home, we do everything possible to ensure that you have a pleasant and warm welcome, clean and comfortable accommodation, a clean and welcoming campsite, flowers and colours… We pay particular attention to the cleanliness of our facilities and we also opt for an ecological approach. To do this, we try to make you aware of the consumption of water and electricity: at night the campsite is lit by solar lights, most of our accommodation has LED lights, each sink and sink is equipped with foamers… Similarly, we opt for selective sorting, and in addition to our containers of different colours according to the type of waste, we also offer a bin for collecting bread to feed the animals. 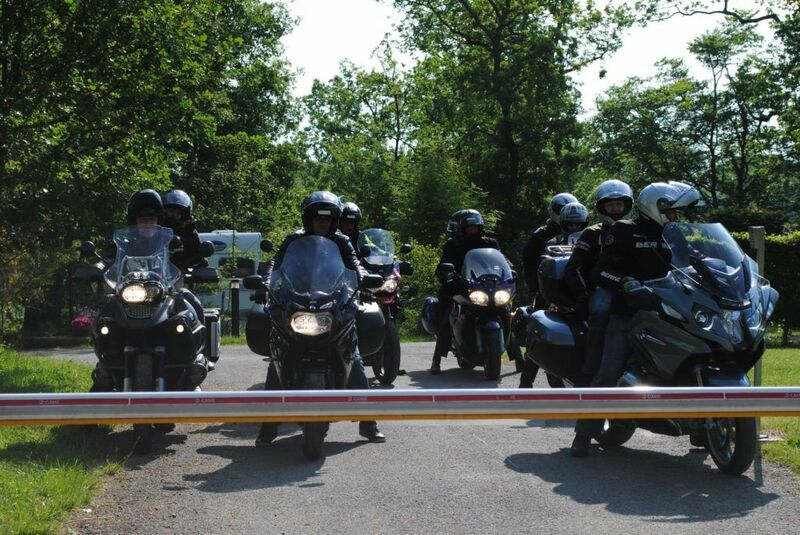 In addition to the activities for adults and children organized by our animator, we also offer you services from our partners near Sarlat-la-Canéda, Montignac and Lascaux. With family or friends, take part in canoe trips in the Dordogne from the campsite or the days discovered with Daniel to discover the hidden treasures of the Périgord. You can also enjoy Agnes’ massages, Cécile’s foot reflexology, or the cuts and fitting of feathers or hair jewellery from Florence, our hairdresser. For a relaxing and wellness break, it’s ideal! On Fridays from 6pm, a small market of local producers from Montignac and Lascaux, among others, opens in front of the reception desk: you can taste local wines (for adults) and foie gras and discover other products around nuts, sausages and therefore enjoy Périgord specialities! Finally, being in love with animals and believing that they are part of the family, we welcome your companions with great pleasure to our pet-friendly campsite in the Dordogne. If you wish to discover the Dordogne, we offer you safe addresses to keep your dogs and pets in complete confidence. And for those who wish, we support a local non-profit association that you can also help by making a donation in the box provided for this purpose in our reception. Are you conquered? 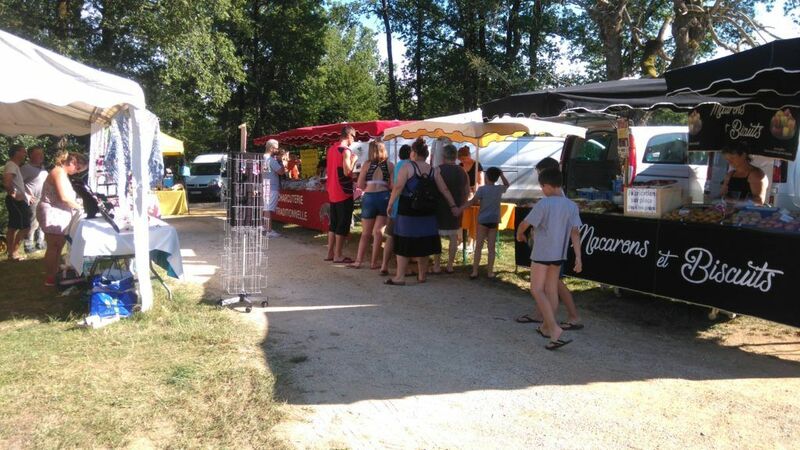 Come and spend your next holiday with your family in our 4-star campsite in the Dordogne!